The best method for keeping your garden in a great condition is to dedicate enough time to its maintenance and the performance of all procedures that cannot be postponed. These include lawn mowing, tree pruning, hedge trimming. 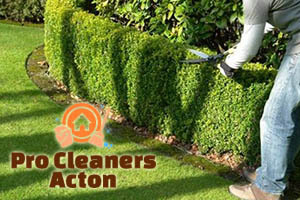 The latter is really important for keeping the good appearance of your garden, so if you are looking for a reliable assistant to help you with the performance of the imminent gardening tasks, contact us now and book a hedge trimming service for the area of W3 Acton. We are at your disposal seven days a week. Although hedge trimming is considered an easy to perform task, it actually requires precision and the usage of powerful, sharp gardening tools. 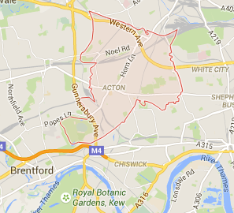 If you reside in Acton, you can just save yourself all the efforts and arrange us to do the project on your behalf. 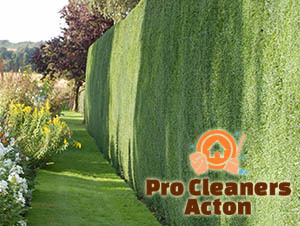 Regular hedge trimming help you have lush and healthy plants, not to mention it makes every garden look well-maintained. We are proud of being the gardening services provider of a great number of commercial and residential property owners based in W3 London. The customers appreciate our flexibility as far as the service delivery is concerned as well as the can-do attitude of our gardeners. Each member of our gardening teams is experienced and certified, so you can rely on excellent performance regardless of how neglected the hedges are. Contact us now and make a booking for a hedge trimming service. We will be happy to accommodate your request as far as the day and time of the service delivery is concerned. You will also be given an instant non-obligation quote that can hardly be matched or beaten. 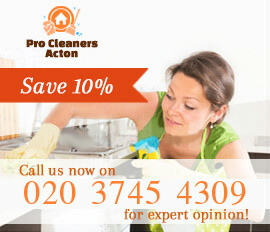 We cover all London areas and work seven days a week for your convenience.